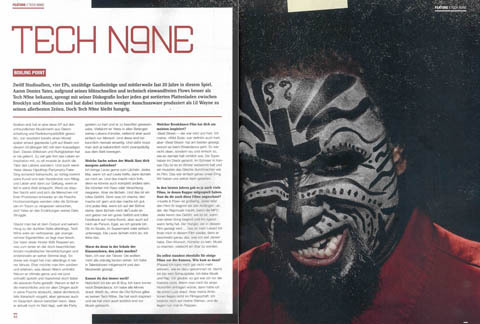 It’s a worldwide thing for Tech N9ne as he graces the pages of Germany’s Juice magazine in support of his European Tour with Krizz Kaliko. Always a hit in overseas, Tech N9ne once again packed up and hit Europe for his fall tour, which will see the Kansas City King hit cities like London, Copenhagen, Stockholm, and Berlin. It’s only fitting then that Tech get a four-page spread in the latest issue of Juice magazine which includes an exclusive interview regarding his latest EP, Boiling Point. 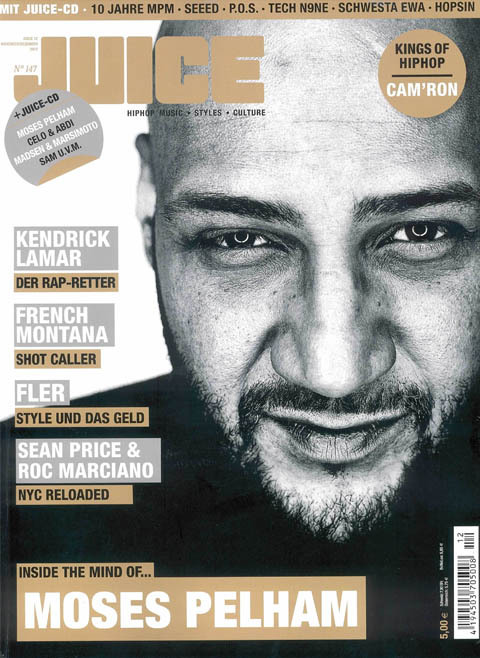 The issue, which also includes features with Kendrick Lamar, French Montana, and Hopsin, is now available. Click here to visit Juice.de for more. What other magazine would you like to see Tech appear in?